This week we’ve been plagued with the notorious “May gray,” days with a marine layer so thick that it’s as if the world exists only in black and white. And in these days of digital photography, I take all my photos in color…but find myself sometimes wondering if a particular image would look better (or different) in black and white. So since our days have been lacking in color anyway, what better excuse for exploring images in black and white? 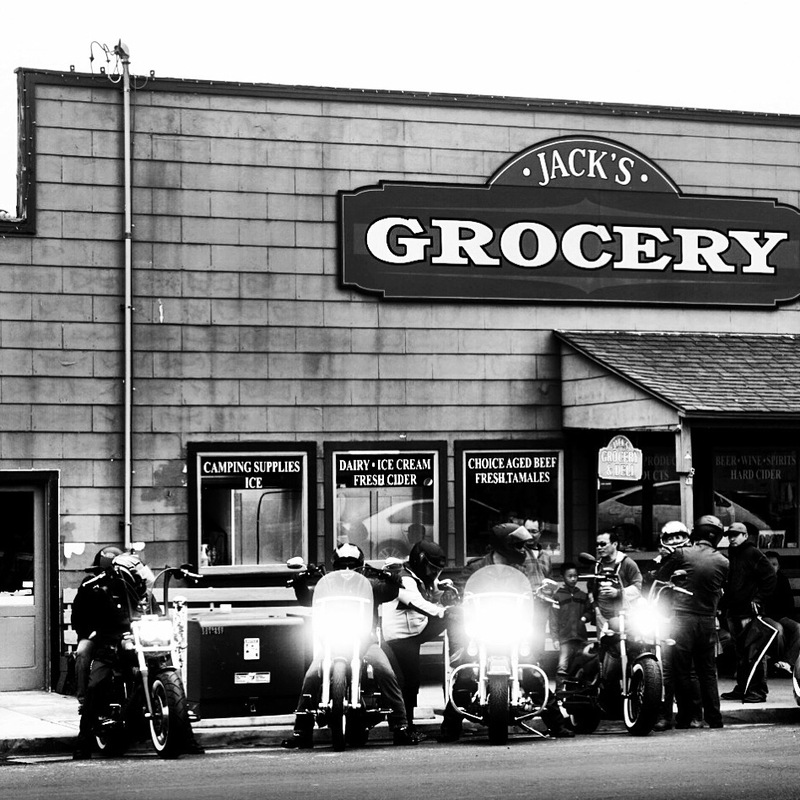 I noticed these motorcycles lined up across the street from me when we visited Julian over the weekend. With the gray skies and their headlights on, I wanted a way to focus attention on the motorcycles and their lights. 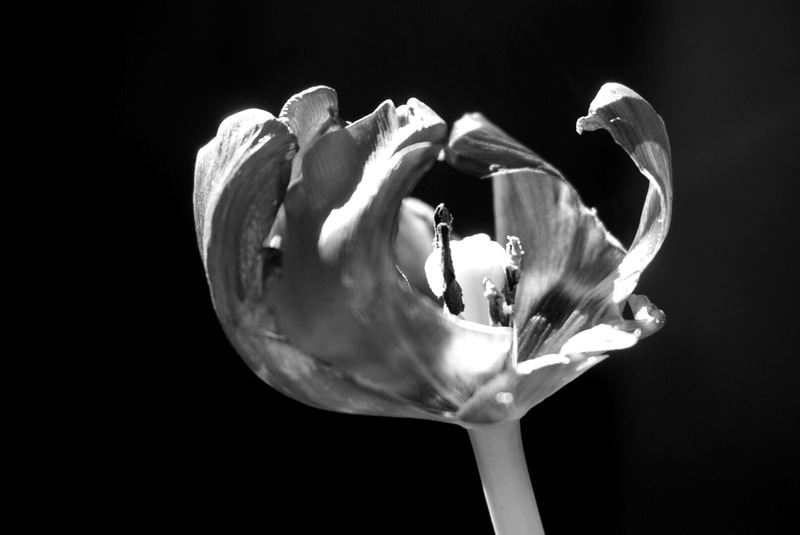 I loved the light in this photo of the dark red tulip and wondered what would happen if it were in black and white. The light is still the focal point, even with the absence of color. 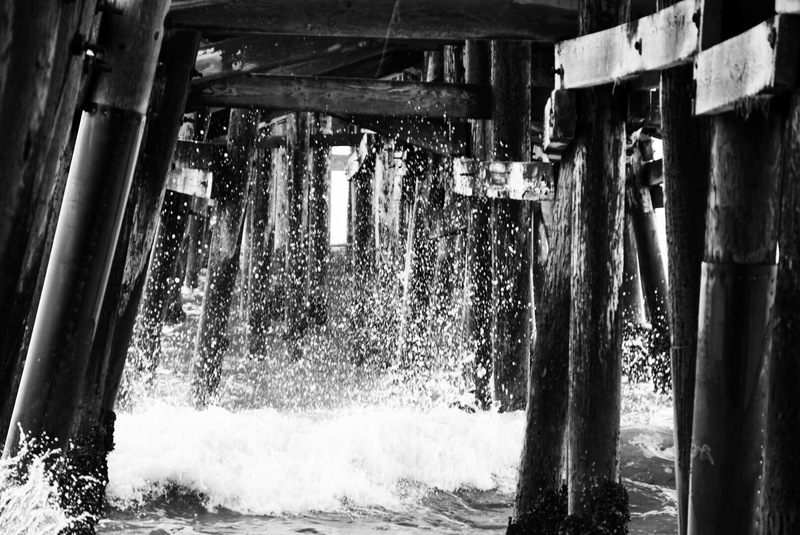 That had me looking for an image with movement…like this one of the waves breaking under the pier. I miss the beautiful turquoise of the water, but love the vibrance of the splash against the pilings. So this is your week to explore with the absence of color. 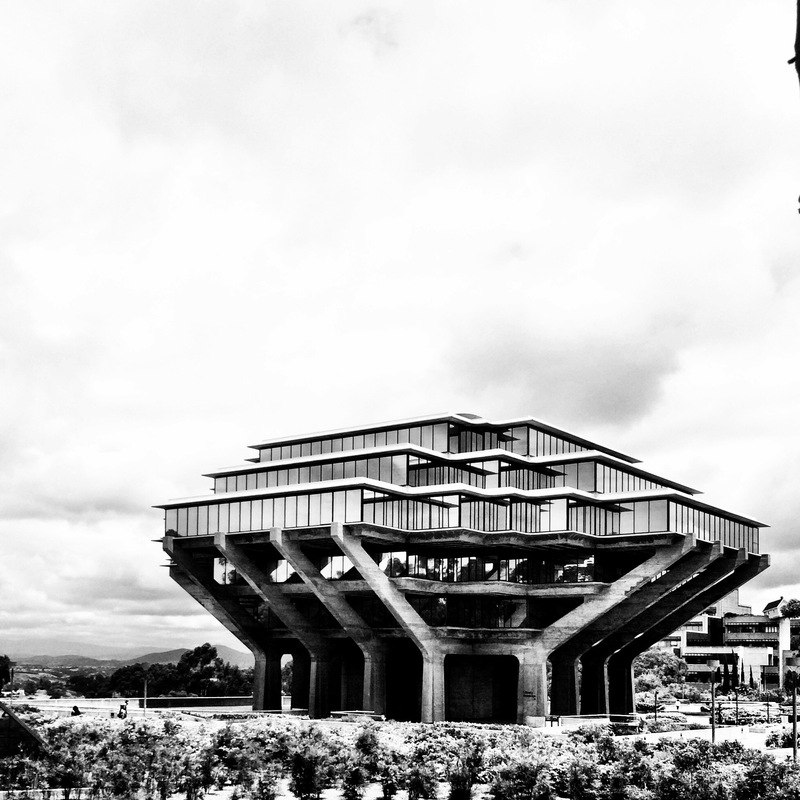 What images will you capture in black and white? Which work well…which need color to bring out their beauty? I share my photography and writing on social media. You can find me on Instagram and Twitter using @kd0602. 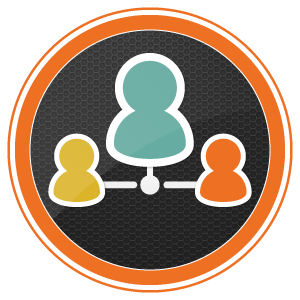 If you share your photos and writing on social media too, please let me know so I can follow and see what you are doing. 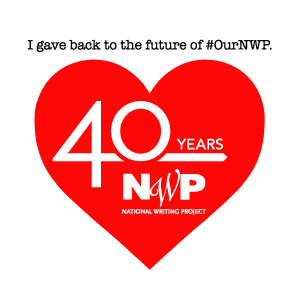 To help our Weekly Photo community find each other, use the hashtag #blackandwhite for this week and include @nwpianthology in your post. Even if you are not immersed in the gloom of “May gray,” experiment with black and white. I look forward to seeing black and white through your lens! This entry was posted in Weekly Photo Challenge and tagged black and white, challenge, light, nwp ianthology, photo essay, photography, writing on May 28, 2015 by kd0602. My favorite is the wave break. I like this idea. Now that I have some free time, I should take your challenge. I’m looking forward to seeing your black and white!